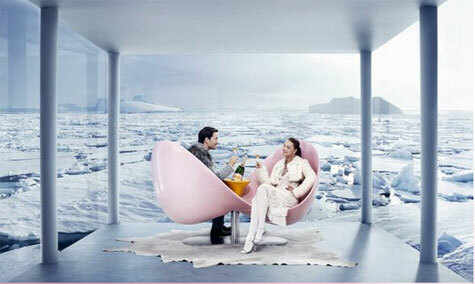 love that Veuve Clcquot Champagne has partnered with a variety of designers for various accompaniments to the popular Champagne.The most lavish has to be the bright pink Clicquot loveseat designed by Karim Rashid. The loveseat consists of two opposite facing chairs joined in the center by a pedestal with an ice bucket in the classic Clicquot yellow creating an intimate place to share your bubbly. 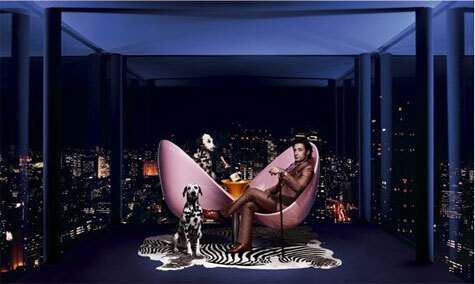 The loveseat sells for around $10,000 and can be seen at Conran’s.